We were thrilled to win big at the 9th edition of Indspirit 2016 and the Ambrosia Awards on 27th February, 2016, held at the Leela Ambience hotel in Millennial City, Gurgaon. We won in the categories of Best IMFL Semi Premium Whisky (GOLD) and Best Monocarton. Indspirit is a premium alcobev trade event that has now entered its 11th year. Various topics of discussion are conducted in the day with experts from the alcobev industry. The conference is concluded with an awards ceremony that honours the best of the best in the industry. 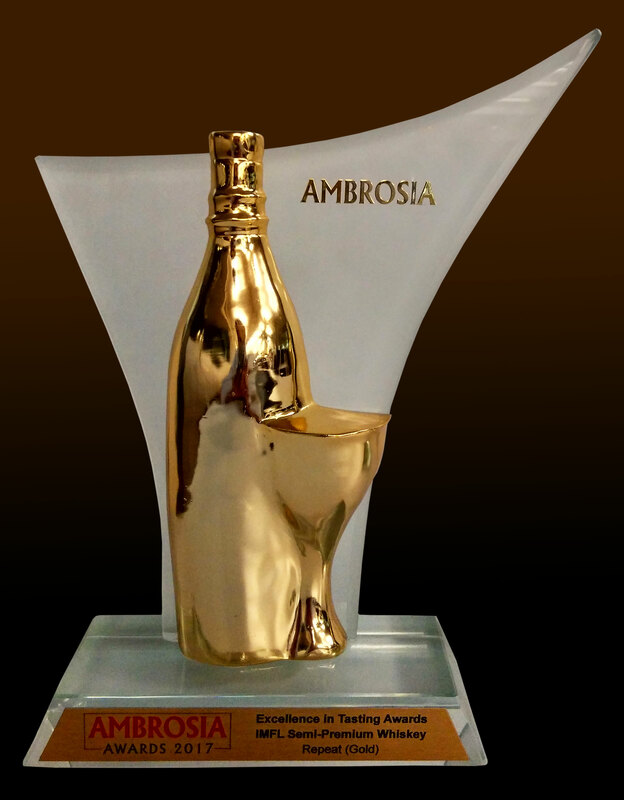 Ambrosia is a known facilitator of discussion in the field, inviting the initiators and conversation starters to the table, who can impress upon the government the role the alcobev industry plays in the country. 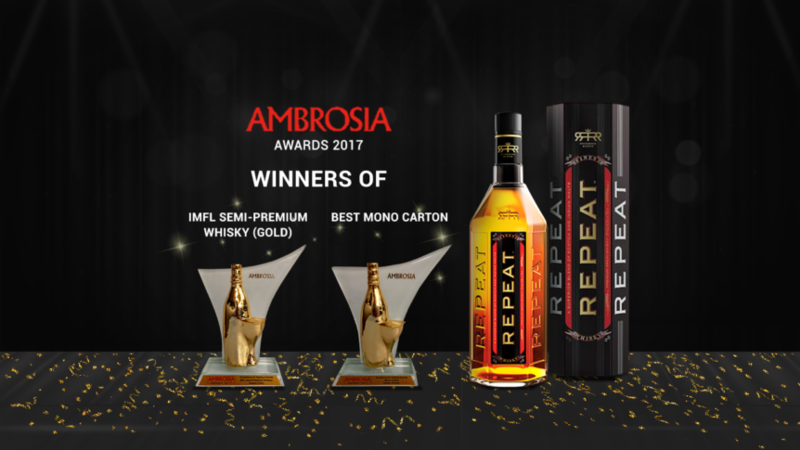 As one of India’s premium scotch whisky brands, Repeat is excited to be considered as an important part of third largest and fast growing market in the country with this prestigious award. Since its inception Repeat has repeatedly proved its place in a busy alcobev market. Known in the industry as a premium whisky brand, Repeat is the solution to every whisky-lover’s dream. Picture this scene: a quiet bar, you alone with your thoughts – and in your hand, a glass of rich, deeply flavoured whisky, the Repeat variety of course! With these two awards, we’ve proved that we’ve made our mark on the alcobev industry and that we’re well on our way to becoming a huge game-changer in the field.